“Podcast” seems to be a sort of buzzword nowadays, and while everybody and their dad knows and loves them, a lesser-known fact is that the podcast actually has roots in Boston. In 2000, two Harvard graduates, software developer Steve Winer and Christopher Lydon, a Boston-based journalist and reportedly the first person to have their voice broadcasted in this format, used RSS technology to create a site where they could create and upload content for visitors to download. Podcasts started to catch on a few years later, around the same time of YouTube’s 2005 launch as a platform for similar user-created content. The podcast is intrinsically democratic by nature — anyone with a smartphone can record audio and upload it to the internet. This format allows visitors to oversee their content all the way through, from inspiration to creation to production and marketing. 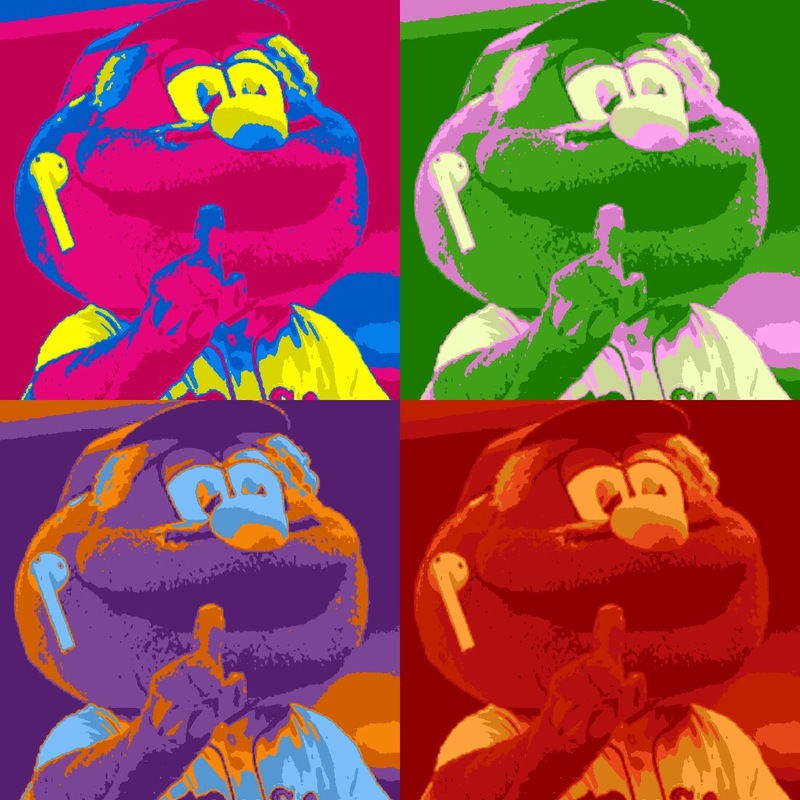 A podcaster doesn’t need to seek the approval of an editor, and they don’t have to be accepted by a major newspaper in order to put their opinions out into the world. Today, the range of podcasts encompasses everything from educational lectures, to fantastical storytelling, to diary-like confessionals, and a surprising amount of true crime. The podcasts in this list are ones I’d recommend to anyone in the Boston art scene. Many of these podcasts are produced by creators from Boston, others are art podcasts with episodes about Boston, and some devote their entire focus to discussing Boston’s institutions and art scenes. These six are must-hears: queue them up while you’re on your commute home or working in your studio if you want to get to know the Boston arts scene a little better! 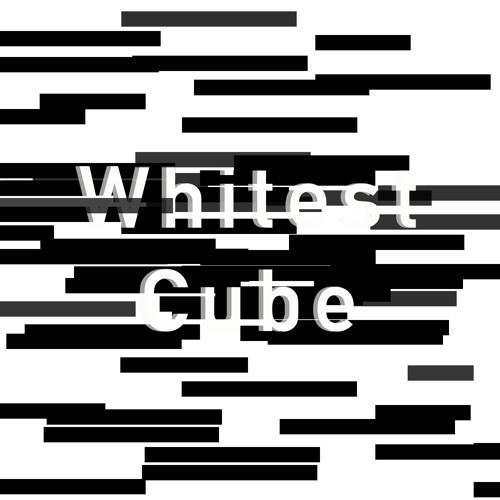 Who: “The Whitest Cube” is produced by two local creators, Ariana Lee and Palace Shaw. Lee is a museum professional, writer, and SMFA grad, and Shaw is a Lesley graduate, former art museum employee, and currently works Community Manager at the PRX Podcast Garage in Allston. It would be amiss of me to use the platform of the Hassle for this article and fail to draw your attention to this particular episode. “Reporting on the Arts” was a panel hosted by Lee and Shaw featuring five women working in Boston: Kara Elliott-Ortega, the city’s Chief of Arts and Culture; Maria Garcia, Senior Editor of WBUR’s The ARTery; Catherine T. Morris, founder of Boston Art Music and Soul Fest and the Gardner’s Director of Public Programming; and Amber and Daughter of Contrast of the podcast “Hoodgrown Aesthetic” (which I will cover more later in this article). This episode is so important to me as an arts editor because these women lay out the hard truths any Boston reporter needs to hear. Our city puts so much attention and resources into covering legacy institutions even though only a few select creators are able to reach that level. At the same time, there are so many amazing creators in the city working at the grassroots, community, and neighborhood levels that are glossed-over. This panel lays out the organizational changes that must be made to any publication hoping for a more diverse staff and more thorough coverage: building relationships in communities, going out and actively looking for diverse staff instead of just posting the position online and hoping for change, and making sure that even if you’re covering a range of exhibitions, you must assign stories to the right writers. Who: The Art History Babes — Corrie, Ginnie, Natalie, Jennifer — are four art historians spread out in different cities who drink wine, spill their thoughts on art, and, most importantly, roast problematic artists (looking at you, Gauguin). The babes, as they call themselves, actually live in different cities but still work together on the podcast. 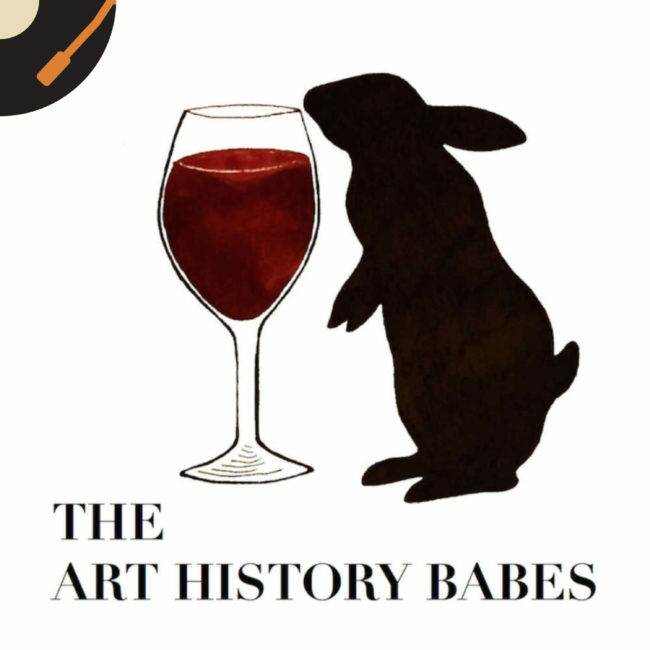 What: The Art History Babes’ episodes are well-curated yet wide-ranging; topics have included color theory, memes, alchemy and art, and rarely known facts about artists like Picasso, just when you thought you knew everything there is to know. They even have an episode about Boston, “The Blackest Little Black Dress with Jason Chase and Taryn Johnson,” where the babes visit the MFA to see an exhibition created by their friend Chase, the artist-in-residence at NanoLab, containing artworks made with Singularity Black (yes, that impossibly dark shade of black you read about on Facebook last year). It was hard for me to pick just one recommendation here, but this particular podcast episode hit all the sweet spots for me: pop culture, museum discourse, the politics of representation, and most importantly, BEYONCE (and Jay-Z, I guess). I love learning about how icons of the past can be appropriated by contemporary artists, and “Apesh*t” is undeniably the most successful example of the past year. (Ariana Grande’s “God is a Woman” performance at the VMAs is a close runner-up, although admittedly lacking the depth of the “Apesh*t” video.) In the podcast, the babes dive into even the most obscure references, with a few wine-fueled pit stops along the way. I recommend following along by pouring yourself a glass of moscato and pulling up the music video yourself; this one’s best enjoyed with visuals. 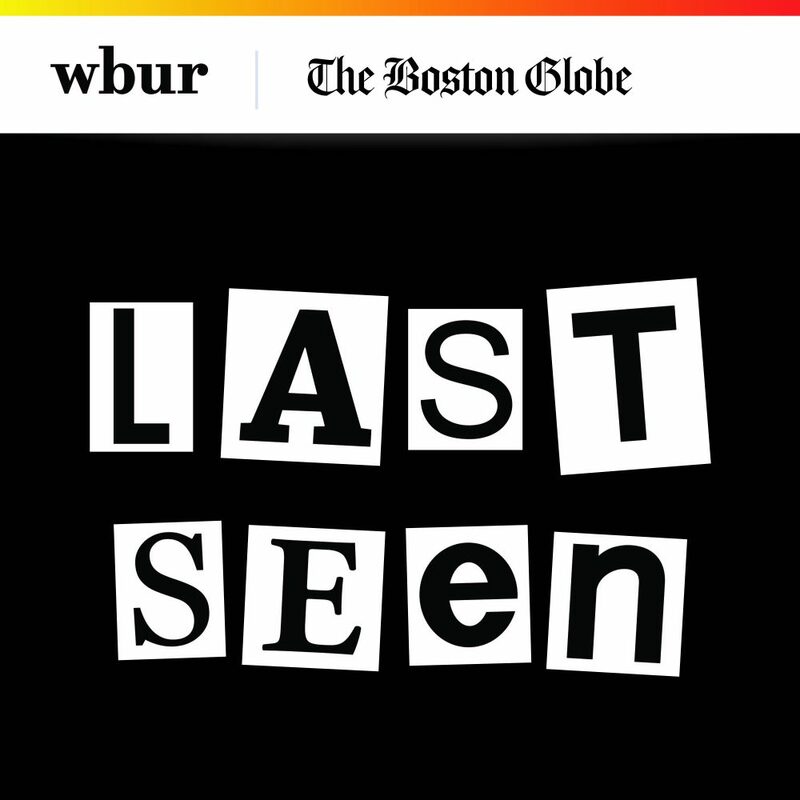 Who: “Last Seen” is a podcast on the infamous Gardner Museum heist produced by the Boston Globe, WGBH, and the Isabella Stewart Gardner Museum created by local reporters: Senior Producer and Senior Reporter Kelly Horan from WGBH; Senior Reporter Jack Rodolico of WGBH; and Consulting Producer Stephen Kurkjian, a former Globe reporter. What: “Last Seen” breaks down the still mysterious Gardner heist, in which 13 artworks were stolen from the museum valuing half a million dollars. Despite the 10 million dollar reward, the paintings have never resurfaced. Twenty-eight years later, the podcast pieces together all the information we now know about that night: all the false leads, the details that just don’t seem to add up, and since-dispelled conspiracy theories. The thing about the Gardner heist is, if you’re from Boston and you’re into art, you probably think you’ve learned everything there is to know. You probably even have your own opinions about who took the paintings, or where they ended up — if they even still exist. However, the compelling interviews on “Last Seen” bring something new to the table: behind-the-scenes commentary from art theft expert and the Gardner’s own director of security, Anthony Amore. Where better to start than the beginning? Really, though, I like this episode because it dispels frequently whispered rumors, yet manages to raise new questions along the way. Right off the bat, the reporters address the theory that both security guards were in on the burglary all along. There were two guards on duty that night: a man they only call “Randy” and Rick Abath, who the entirety of Episode 2 is dedicated to. After listening to Randy’s testimony, audibly shaky with nervous energy, nobody could reasonably accuse the man of criminal intent. “Last Seen” shuts down the possibility Randy, at least, was involved in the heist, but it raises the question in response: Why does it appear two separate crimes were committed that night? In the episode, Amore discloses one artwork was missing from a gallery where no alarms went off, implying that it was stolen before the galleries were armed for the night, possibly during the guards’ routine walkaround. So many details in this case don’t line up, which makes for a riveting true-crime podcast. I encourage listening to come to your own conclusion — I certainly have theories myself. Who: “Culture Hustlers” is created by Mobile Incubator founder Lucas Spivey — a sort-of-Boston-based (Spivey worked on the podcast during his residency at the Boston Center for the Arts), more-like-nationwide project run out of a renovated 1957 Shasta camper towed by a 1973 Ford Econoline Canadian ambulance. Spivey travels around the country in the Shasta, which functions as a podcast studio and is a piece of artwork in itself, with mosaics, upholstery, and signage crafted by American artists and designers; a consulting office for artist-entrepreneurs; and a gathering place for community members and creatives alike. The Mobile Incubator has travelled across 42 states, producing 10 docu-shorts, 22 podcast episodes, and over 2,300 conversations with the artists and entrepreneurs he meets along the way. What: The podcast is framed around one central question: How can creatives make a living off their work? Artists are often “paid” with exposure; jokes about starving artists, however naive or immature, ring somewhat true. Spivey tells the stories of young American artists with a mind for business who have launched successful careers in their respective fields. 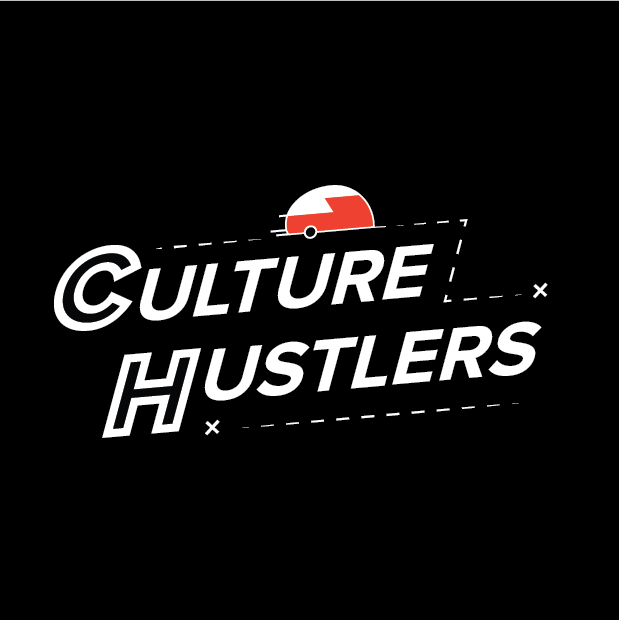 So far, “Culture Hustlers” has hosted illustrators, coloring book creators, fashion designers, poets, actors, DJs, and blog editors — to name a few. During his public art residency at the BCA, Spivey interviewed Erin Robertson, a fashion designer from Utah working in Boston, where she runs the Hourglass pop-up shop. During her final year as a student at MassArt, Robertson applied for (and, spoiler alert: won) “Project Runway.” Spivey’s interview reveals the hard work behind Robertson’s success: She put herself in the right places — applying to scholarships, offering to help her mentors with personal work, and staying true to her strong, vibrant brand throughout school. It’s clear Robertson’s success is a result of calculated networking and meticulous attention to detail. It’s inspiring to see how someone living in Boston made a name for herself in this city. This episode of “Culture Hustlers” makes you want to get up and make something big happen! Who: “Hoodgrown Aesthetic” is produced by Amber Torres and Daughter of Contrast (Althea Bennett), two local artists who met in high school as Visual Arts majors at the Boston Arts Academy. Torres, an illustrator, poet and Roxbury native, received her BA in Communication from Hamilton College in 2016 and is now the Program Manager of the Center for Arts in Education doing outreach for the Boston Arts Academy and teaches art workshops part time at the Boys and Girls Club of Dorchester. Daughter of Contrast holds a BFA from Parsons The New School of Design and a BA in Sociology from Eugene Lang College the New School for Liberal Arts– she is currently a Masters in Art Education candidate at Massachusetts College of Art and Design Class of 2019. Daughter of Contrast is a sculptor, illustrator, printmaker, and teacher from Mission Hill. She teaches art at the Museum of Fine Arts Boston as a Lead Educator in Education department, the Brookline Recreation Center, and youth programs at Mass Art. What: “Hoodgrown Aesthetic” promotes contemporary black and brown artists and organizers, usually creators living in Boston. The podcast covers so many topics: local artist interviews, organizations to follow, analyses of pop culture and current events, and stories about culturally significant events and historical figures in Boston. Amber and Daughter of Contrast put out an episode every single week, an unbelievably impressive feat, with a current total of 62 episodes. 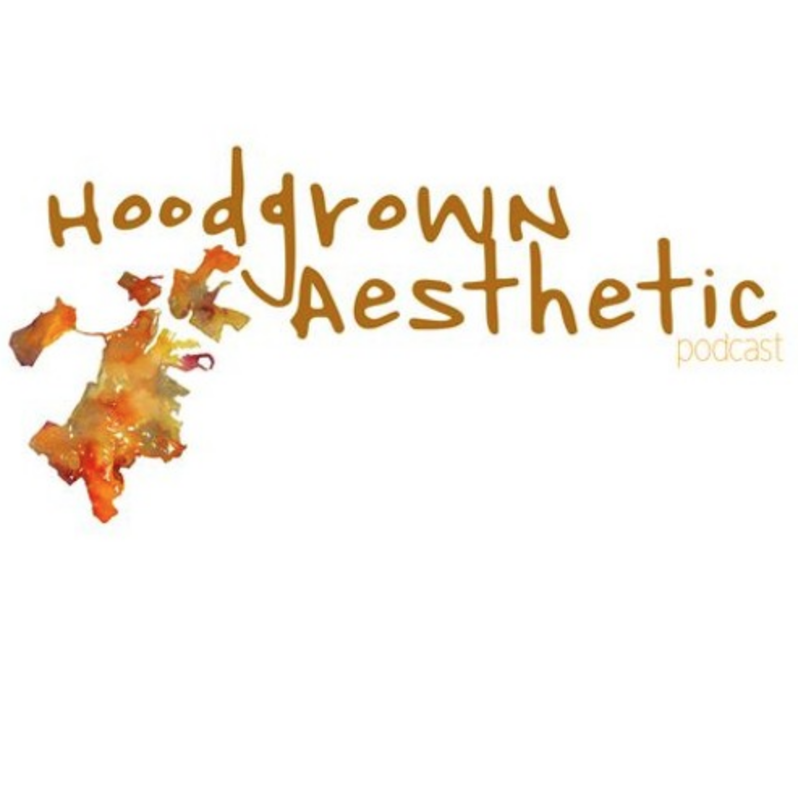 Listening to “Hoodgrown Aesthetic” is one of the best (and most entertaining) ways to keep up to date with contemporary artists, organizers, and creators living and working in the city. I’m not just recommending this particular episode because I like “The Whitest Cube” (it’s obvious I do), rather because this conversation is a must-hear for any artist in the city; the four discuss core issues within our arts scene in Boston while highlighting local projects to keep an eye out for, like the Boston Ujima Project. This episode really gets at the goal of “Hoodgrown Aesthetic”: to invest in a network of POC artists and advocate for collective growth. The podcasters draw attention to countless examples of the city disproportionately directing resources to a select few mediums, artists, and, thus, neighborhoods. In the episode, Daughter of Contrast, Torres, Lee, and Shaw highlight projects in the city that feature POC creators like the Illuminus festival, which takes place downtown every November. Every artist in Boston should listen to this podcast to better understand the power structures at play in our city, how they involve us as artists, and how we can better support all the POC artists making amazing work in Boston. Who: Catherine Graffam is a local artist, curator, and educator who currently works as the Exhibitions Manager at Gallery 263 in Cambridge. Graffam’s paintings and podcast both reflect an interest in art history and LGBTQ+ history. What: “Fire in My Belly” is probably the only LGBTQ+ art history podcast (at least the only one I’ve ever been able to find), although unfortunately short-lived — Though, Graffam says the podcast might be coming back as a future project. “FIMB” was produced in 2017 and has six episodes available, but I keep checking back in every few months just in case. 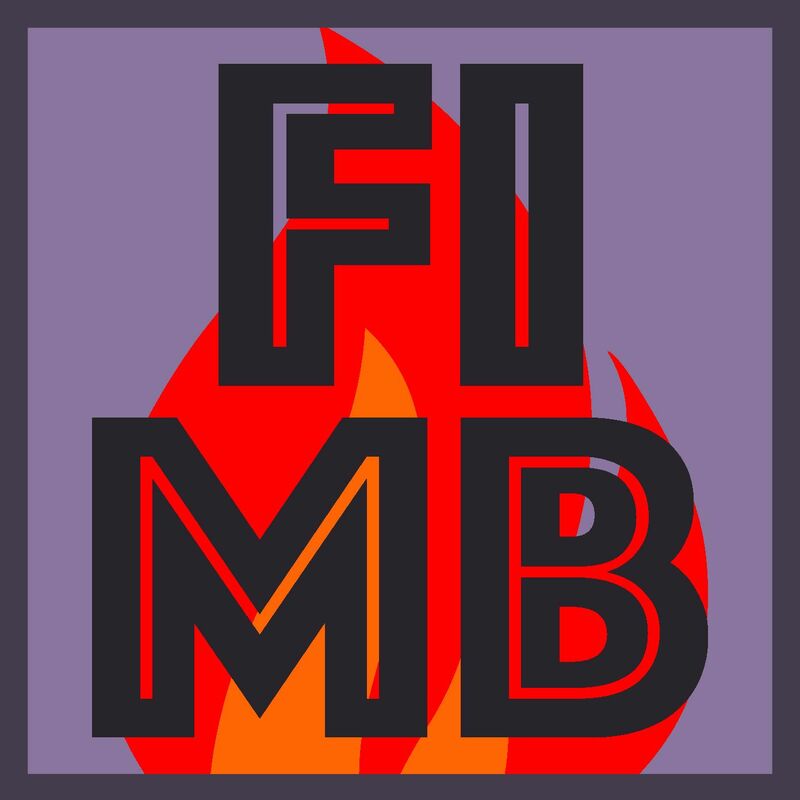 In each episode of “FIMB,” Graffam tells stories about the lives and the work of likely-LGBTQ+ artists. Graffam’s cases are always well-researched, never presumptuous. “FIMB” draws attention to details left out of mainstream art historical narratives and provides full, in-depth information on LGBTQ+ artists. This episode looks at the life and work of the artist Gluck, who others identified as a lesbian despite the artist’s own rejection of this term. Graffam cautiously avoids applying speculative labels to Gluck, as you really can’t know another person’s gender identity when they aren’t able to express it themselves — as was the case for Gluck, who lived before terms like transgender and nonbinary were in popular use. However, the artist obviously rejected being a woman: They tried out popular boy’s names before settling on Gluck, wore clothing deemed masculine for the time, and even left a job when coworkers referred to them using gendered language. Often, typical art history courses try to ignore or explain away the lives of queer artists (I hear a lot of, “She lived with another woman for her entire life because they were great friends” — sure). “FIMB” undoes this queer, biographical glossing-over by giving these artists their due diligence, which is especially evident in the case of Gluck, who is still today incorrectly referred to as a lesbian artist. Boston’s podcast scene, just like its art scene, is varied and vast. There’s always something to discover here, with new projects popping up faster than you can keep track. These are the podcasts on my radar right now, but I’d like to hear your favorites, too! I’d like this list to grow, to be democratic, and to serve as a platform for anyone looking to share their opinions — just as a podcast does. Emily Bass is an artist, curator, and the Art Section Editor for the Boston Hassle, and can be reached at emily@brain-arts.com.